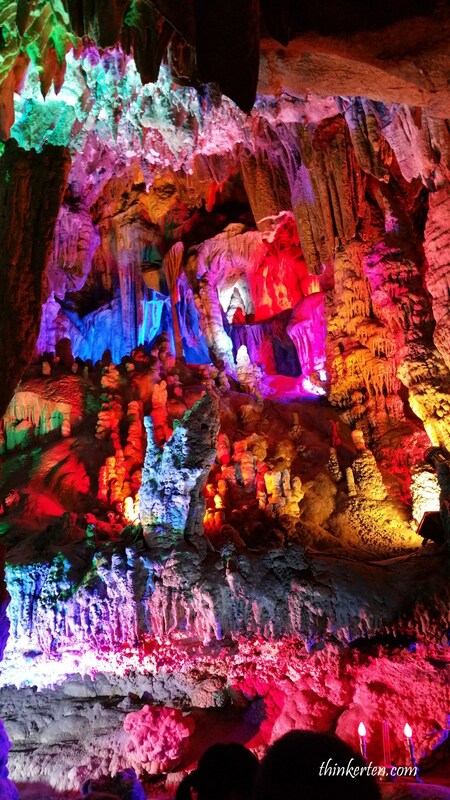 Yinzi Cave is located in Lipu County, about 85 km away from Guilin and only 3 km away from Yangshuo County. We departed from Yangshuo early in the morning to visit Yinzi Cave. 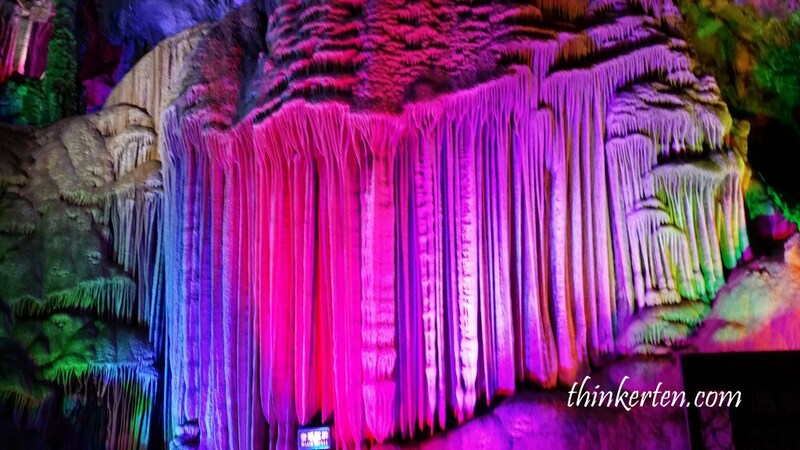 Yinzi (银子 in Chinese means money), so there is a Chinese proverb, ” anyone who has been to Silver Cave would never short of money“. Silver Cave is flooded with local tourists early in the morning, I guess all rush here to be rich. 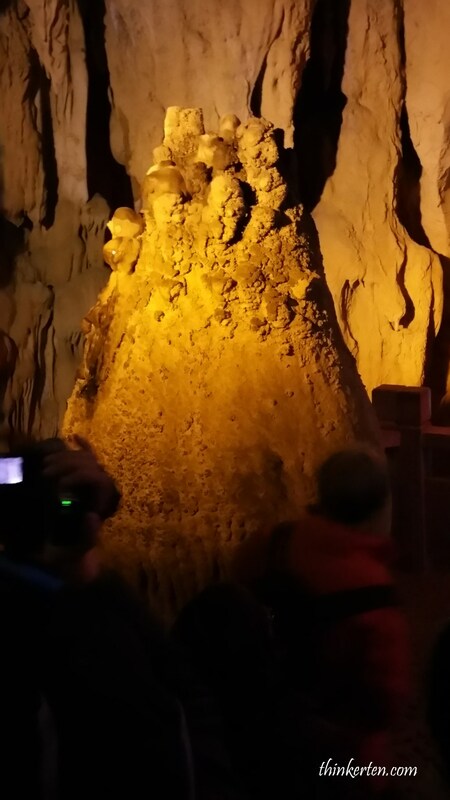 If you love nature’s stalactite and stalagmites, this cave has plenty for you to explore. 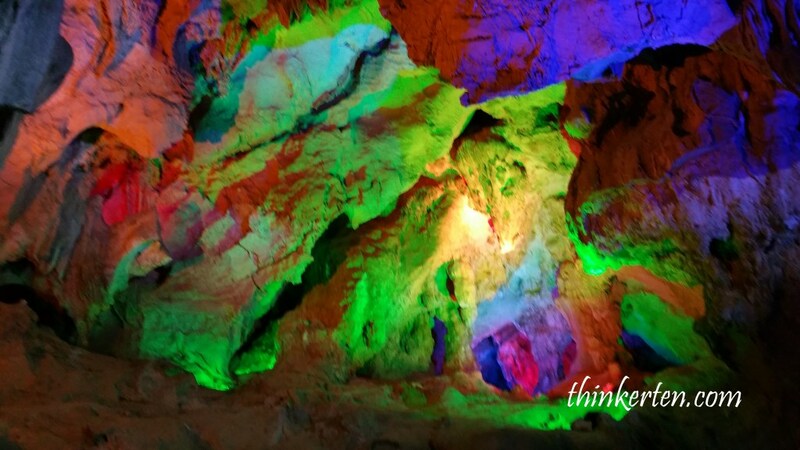 I don’t know why they have many flashy and colorful lighst inside the cave, may be to enhance the beauty of the cave. I personally prefer a plain one so that I can truly enjoyed the original beauty of the cave. Also lights may do harm to the cave as it caused heat. In total there are 28 scenic spot inside the cave, but there are 3 important spot which you should not miss out! How did the name Silver Cave come from? It is surprising that the stalactites inside the cave are spotlessly white and just look like glittering water pouring down from the Milky Way, so it is named Silver Cave. 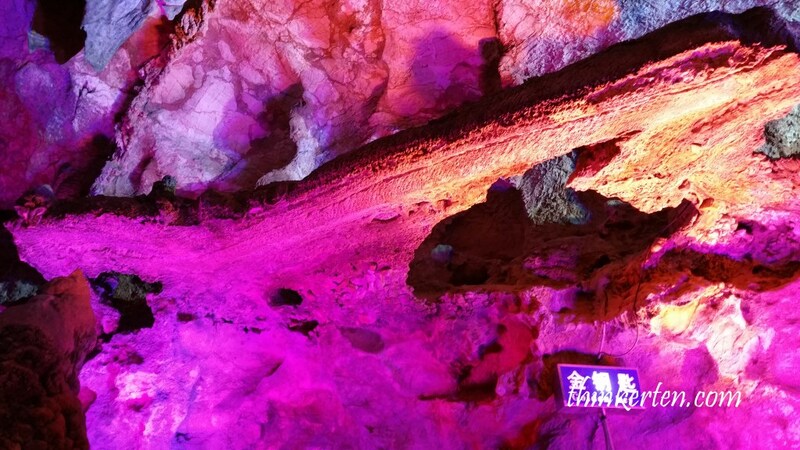 Coming to Guangxi Guilin area, one of the must do thing is cave appreciation. Beside Silver Cave, there is another cave where you could explore is the Red Flute Cave. Just choose one and doing one cave is more than enough. 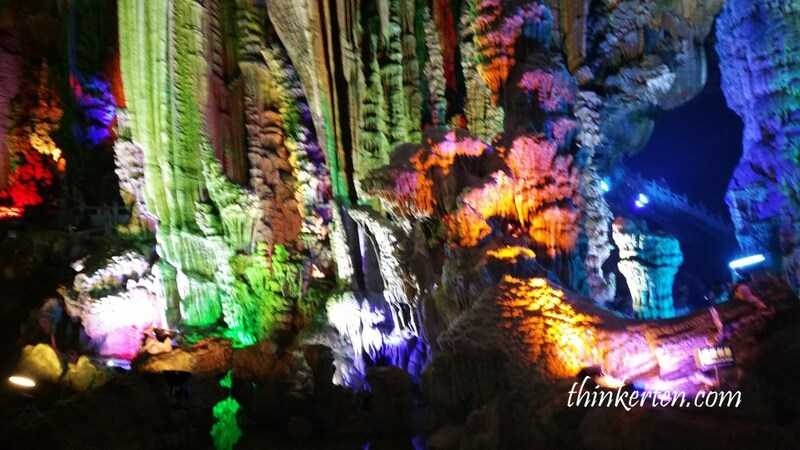 I would suggest to come to Yinzi Cave as this cave has the biggest karst landscape but hilly. The best part and most important thing is – you will never short of money after paying a visit here. This is one of the highlight in River Li/漓江, Guangxi. It is an open air theater on the beautiful banks of the Li River, with beautiful views of mountains behind as the backdrop. 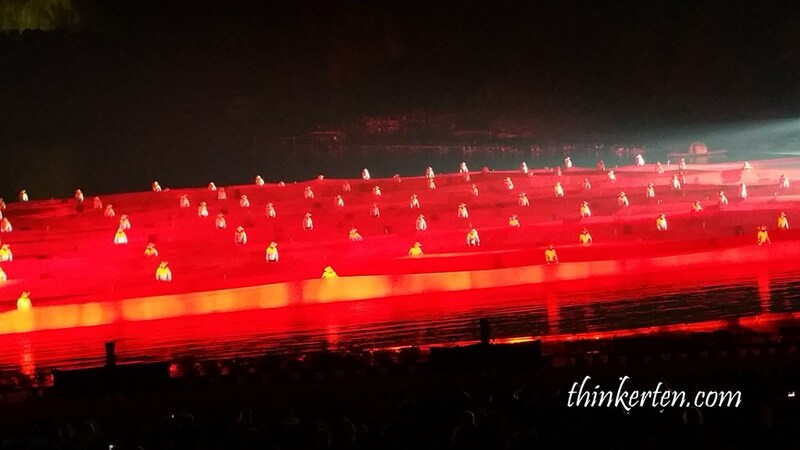 The performance was done by the 600 local villagers, most of them are fishermen by day. 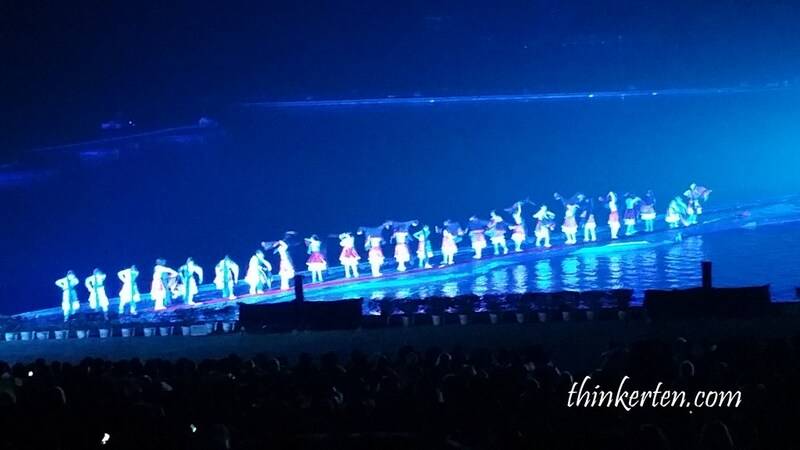 They appear to float along the river while performing with their folk singing and dancing. It was beautifully choreographed by the famous movie director, Zhang Yi Mou and it took 5 years to complete. 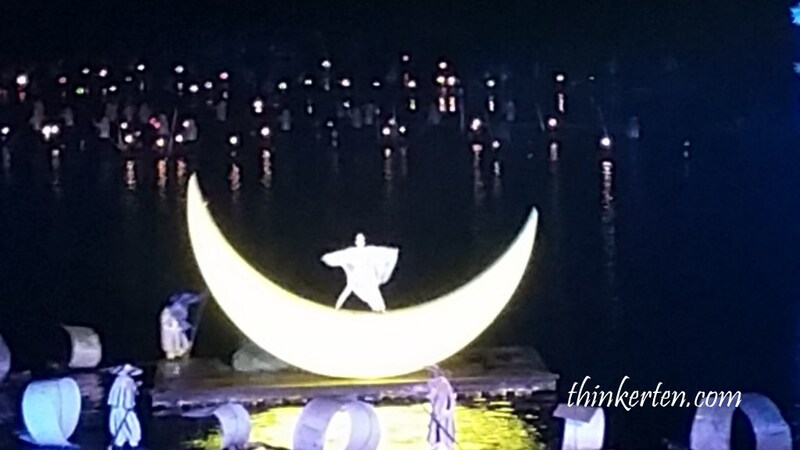 This is one of the best show I have seen so far and very I was impressed by the numbers of performers participated in the show. Tips to note, bring along a thick jacket and a blanket as it could get very cold in the winter at night because the stage is River Li and surrounded by mountains. Expect with very crowded audiences with noisy locals talking and standing up and taking pictures and videoing. Be accommodate as that is part of their culture, the show is just slightly more than an hour, embrace the noisy crowd and just focus on the river stage. 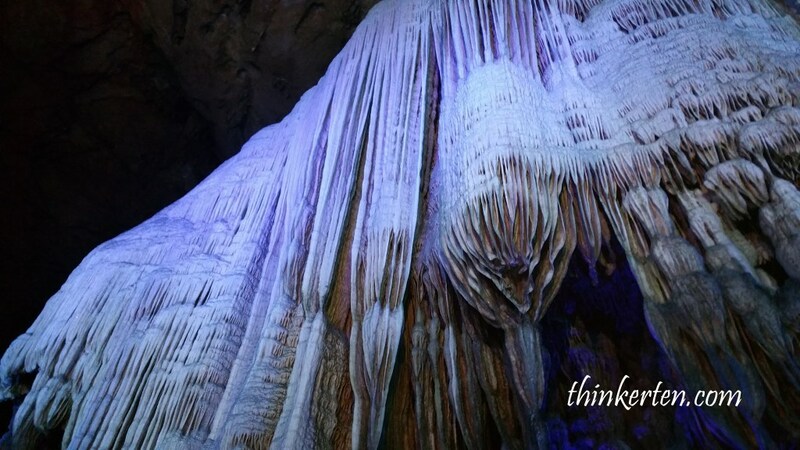 Yinzi / Silver Cave Vs Red Flute Cave – which one to choose? China Guangxi 4 : Datang Bay & Longsheng Rice Terrace – Great for nature & photography lovers!